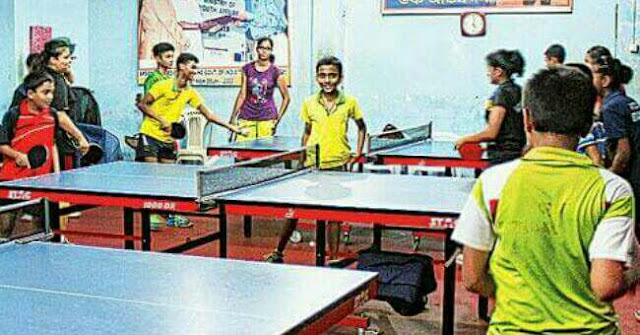 The paddlers' cradle of Bengal will host the National Cadet and Sub-Junior Table Tennis Tournament from January 1-6, 2017, that will see over 700 players battling for hours. The players will be in the under-12 and under-15 age groups and the event organised by the Table Tennis Federation of India. "A large-scale event like a national championship in any town creates excitement among local players as well as sports lovers. Siliguri has hosted some national table tennis championships but this one is being held after four-five years," Amit Dam, a table tennis coach who has run the Siliguri Table Tennis Academy since 1993, said. Siliguri has a special place on the table tennis map of India as it has produced three Arjuna awardees - Mantu Ghosh, Subhajit Saha and Sounyajit Ghosh - and several other table tennis players from the town. The event, announced today, has made youngsters, senior and veteran players, coaches and sports lovers, enthusiastic. Siliguri has 16 coaching centres where over 500 kids regularly practice under the watchful eyes of several former players like Mantu Ghosh and Subrata Roy.